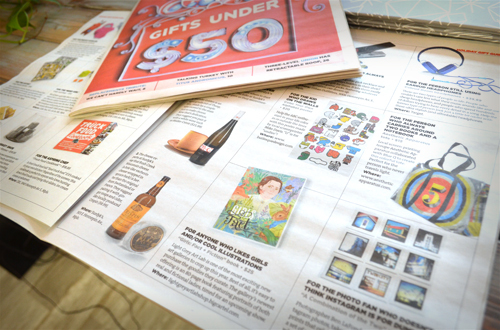 Gifts under $50 - feature in Vita.mn! We are so grateful to the amazing people at Vita.mn for this short, but sweet write-up of our GIRLS: Fact + Fiction art book! Obviously we owe this all to the amazing artists that have contributed to the exhibition and Vita.mn has been so wonderful to feature us! We're listed as one of the best items to give for the holidays! I love the caption! 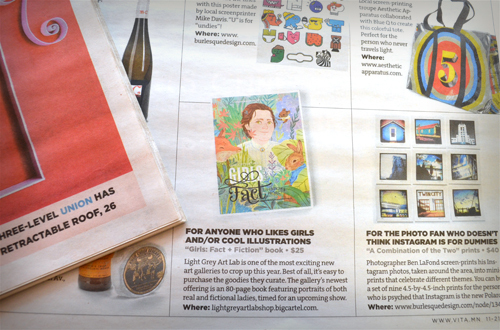 "For anyone that likes girls and/or cool illustrations"
I think that's pretty fitting! and the book is still available here! If you can, head over and vote for us! Here's the link!